I recently drew upon a chapter by William O. Walker, Jr. in Some Surprises From the Apostle Paul to argue for the likelihood of interpolations in Paul’s letters: Why Many Interpolations in Paul’s Letters are Very Likely. Walker points to what most readers here know: that Paul says precious little about the historical Jesus. I won’t address the points that Walker interprets as references to a historical Jesus but will list some of his evaluations of the proposed reasons for Paul’s “relative silence”. Even when Paul wrote a very lengthy letter to the church at Rome — a church he had never previously personally visited — he still had next to nothing to say about the life and teaching of Jesus. Paul could assume that his readers already knew about the death, resurrection and expected parousia of Jesus, yet he talks a great deal about these, especially his death and resurrection. Many times (e.g. eating meat sacrificed to idols, importance of love, not seeking vengeance, not judging one another) an appeal to a teaching of Jesus could have bolstered his own argument. shows at least an equal lack of interest in the life and teaching of the historical Jesus. Recall that the Creed jumps straight from Jesus’ birth to his suffering and death. 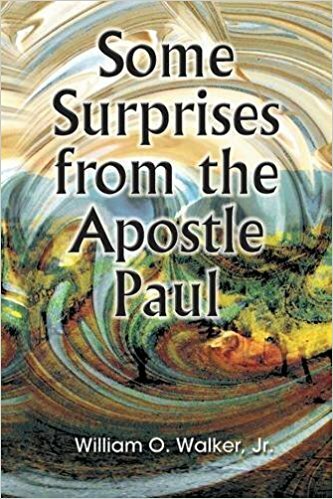 W’s fourth explanation is a new one to me, “a surprise from the apostle Paul” indeed. In a subsequent chapter in the book Walker discusses the current debate among scholars over Paul’s meaning of “justification”. One “surprising” point he makes is that Paul does not talk about “repentance” or “forgiveness”. Though we are familiar with these fundamental requisites of the Christian conversion and life from the gospels, Acts and the Pastoral epistles, they are alien to Paul’s thought. For Paul, salvation is a gift from God and cannot be earned. Walker suggests that Paul may well have not wanted to appear to have given his followers any excuse to replace the Mosaic law with a new law or standard of conduct from Jesus. I might discuss W’s argument in more depth in a future post. It is the point of his second chapter in Surprises. I do really like the idea of a Christianity without focus on repentance. Godless atheist that I am, I cannot deny that I have come to view that repentance and need constantly to strive for perfection thing as responsible for a lot of messed up, guilt-ridden lives. Not long ago I wrote The Jewish Jesus as a Christian Bias. This time I am writing about the Jewish Jesus and Paul as opposed to a Christian bias. Nothing is simple, is it. 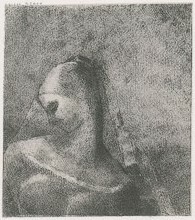 I do suspect that the focus on the Jewishness of Jesus was originally undertaken with the conscious belief that such a path was more truly historical and a step removed from traditional theological biases, but as with many good intentions others less pure in motive hijacked the process for their own ideological ends — hence my earlier post. This post, however, addresses the pure in heart, or at least pure in print, and no doubt in intent. And my motive is? To place on record yet one more instance where biblical scholars, in particular New Testament scholars, set down for the record evidence that the biblical studies guild is indeed ridden with theological bias. So often we hear protestations from certain biblical scholars how so alike they are to other “scientific” academics, so dedicated to “the objective truth”, that anyone who raises the mere possibility that they might be religiously biased can only be a god-hating, angry atheistic, degenerate secular-humanist. From a methodological point of view, the Christian ideological perspectives that continue to characterize much of the ostensibly historical work done in New Testament studies is problematic. Mark D. Nanos (2015-01-01). 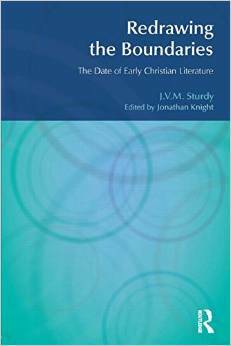 Paul within Judaism: Restoring the First-Century Context to the Apostle (p. 32). Fortress Press. Kindle Edition. — That’s in the Introduction. 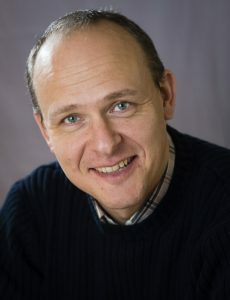 Magnus Zetterholm is Associate Professor in New Testament Studies at Lund University. He is the author of Approaches to Paul: A Student’s Guide to Recent Scholarship (Fortress Press, 2009); The Formation of Christianity in Antioch: A Social-Scientific Approach to the Separation between Judaism and Christianity (Routledge, 2003); and the editor of The Messiah in Early Judaism and Christianity (Fortress Press, 2007). Mark D. Nanos (2015-01-01). Paul within Judaism: Restoring the First-Century Context to the Apostle . Fortress Press. Kindle Edition. it could, however, easily be argued that this research discipline has indeed been negatively affected by Christian normative theology. Mark D. Nanos (2015-01-01). Paul within Judaism: Restoring the First-Century Context to the Apostle (p. 31). Fortress Press. Kindle Edition. What follows is surely a truism so it is remarkable that some New Testament scholars become quite defensive when a critical outsider attempts to point it out. Much safer, it seems, for such things to be admitted only within the confines of the club walls. Theological conviction drives a comment expressed as if it were merely a historical reflection. From a methodological point of view, the Christian ideological perspectives that continue to characterize much of the ostensibly historical work done in New Testament studies is problematic. No doubt many readers have already been alerted to Richard Carrier latest blog post: The Historicity of Paul the Apostle. Our Kiwi friend at Otagosh has also posted an alert to this post with his own commentary. I am traveling and it’s too awkward to elaborate with my own response at the moment. In sum, I do accept Paul as a historical figure but exactly who or what he was behind the letters is not entirely clear. Roger Parvus also raises interesting questions, as many of us know. Recently I posted Paul the persecutor? 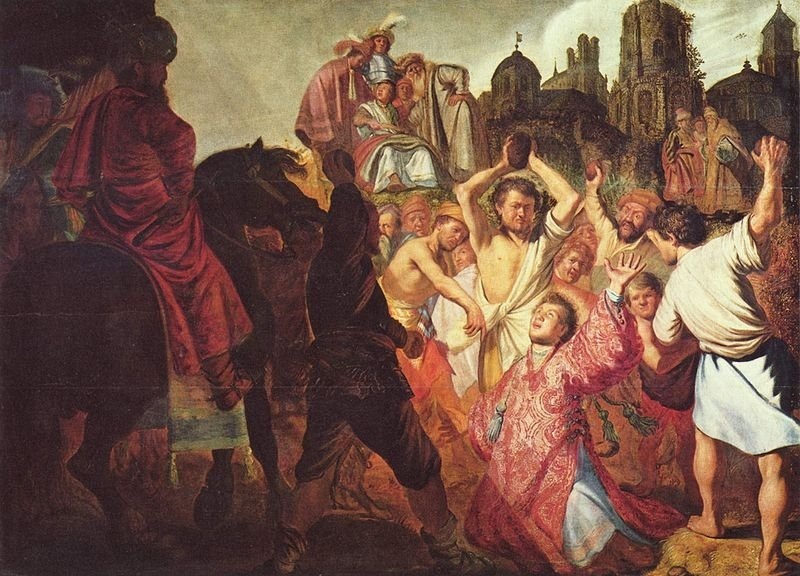 in which I suggested that Paul’s confession in his epistle to the Galatians to having persecuted the Church did not necessarily imply that he literally jailed, beat and killed Christians before his journey to Damascus. J. C. O’Neill would have thought I was far too soft. Those passages in which Paul is confessing to have persecuted the church are late interpolations, he argued back in 1972 in The Recovery of Paul’s Letter to the Galatians. 13 For you have heard of my former life in Judaism, how I persecuted the church of God violently and tried to destroy it; 14 and I advanced in Judaism beyond many of my own age among my people, so extremely zealous was I for the traditions of my fathers. . . .
22 And I was still not known by sight to the churches of Christ in Judea; 23 they only heard it said, “He who once persecuted us is now preaching the faith he once tried to destroy.” 24 And they glorified God because of me. I’m taking a light diversion by challenging somebody on earlywritings.com over his assertion that Christians were persecuted like crazy (as per the popular notion derived from the Acts and Eusebian tales). The posts have since met a bit stiffer challenge from more reasonable and knowledgeable participants — so the discussion has become even more rewarding. The word for “persecution” is διωγμός — one could “pursue” [δίωκε] righteousness; Paul wrote that Ishmael “persecuted” [ἐδίωκεν] Isaac. The word can have very unpleasant associations when used negatively but does not necessarily mean to beat up and kill. What Did Paul Know About Jesus? 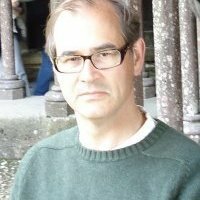 Gregory Jenks has posted a new article on academia.edu, What did Paul know about Jesus? 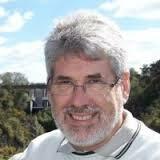 Jenks is a senior lecturer of theology at Charles Sturt University. Among other things he is a Fellow of the Jesus Seminar and has a blog with the byline revisioning faith . . . shaping holy lives. 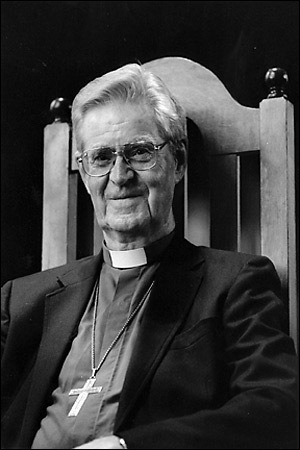 I met Gregory Jenks in Toowoomba some years ago now when John Shelby Spong dropped in for a visit at his Anglican parish. He’s a nice bloke so I hope I don’t do any injustice to his article. Does the historical Paul provide any help for contemporary people wondering to what extent information about the pre-Easter Jesus is relevant to the project of discipleship and faith? Paul appears to have exercised considerable flexibility and creative license in using whatever Jesus traditions may have been known to him and his readers. Christians today can claim that same freedom with respect to the Jesus tradition and the Pauline legacy. Paul demonstrated that the priority always lies with direct life experience—interpreted within the context of one’s faith community and in the light of its tradition. Those who wish to honor the sage of Galilee might do it best by moving beyond veneration to the more challenging project of embracing life with openness and trust here and now. I think I’ve been fair in presenting what Jenks sees as the importance of his article. I’ve no problem with his question or answer and respect his efforts in working towards a more tolerant and understanding society with that kind of message. But what about the question of historicity and origins? We know that forgery and interpolation of texts were very common in the ancient world so it is odd to hear some theologians insist that we should discount the possibility of any of Paul’s letters had been so doctored unless and until we find very compelling reasons — usually only by means of manuscript evidence — to think otherwise. Is this some hangover from the days when the Bible was supposed to be sacred and inerrant? We do know not all biblical scholars take this advice, however. Here is a conveniently set out list of scholars who have argued that specific verses in the “authentic” Pauline letters were added by Christian scribes after Paul had departed the scene. The list is compiled from John Sturdy’s notes and published in 2007. Sturdy died in 1996 so the list includes no scholars who have added arguments for interpolations since then. The publication, Redrawing the Boundaries: The Date of Early Christian Literature, was from a manuscript that Sturdy had been working on but never finished. His intent was to refute the early dating that had been published by in 1976 by John Robinson: Redating the New Testament. “This is simply mischief!”, said Sturdy more than once of Robinson’s book. Continuing the series on Thomas Brodie’s Beyond the Quest for the Historical Jesus: Memoir of a Discovery, archived here. Chapter 15 of Thomas Brodie’s discovery memoir (Beyond the Quest for the Historical Jesus: Memoir of a Discovery) surveys what can happen when one applies comparative literary analysis to the letters attributed to Paul. The third case study Brodie outlines is one I particularly love. How can one not be attracted to a scholarly synopsis that introduces a case for a view that one has long held independently as a consequence of one’s own personal analysis? When I compare the conclusion of Acts (a conclusion generally regarded as problematic or otherwise incomplete) with other ancient (including biblical) literature I am almost sure there is nothing problematic about the ending of Acts at all. It is based upon the conclusion of Israel’s “Primary History”. That is, the conclusion of Acts is strikingly similar to the concluding chapter of 2 Kings. (I have posted detail on this before.) And of course once one recognizes that, the logical question to ask is whether the events of Acts leading up to that conclusion bear a similarity to the events in 2 Kings leading up to the liberal captivity of the king of Judah. In other words, does Paul’s journey to Rome evoke substantial literary connections with the exile of the captive “Jews” to Babylon? I believe it does. So I cannot help but take pleasurable notice when Brodie makes the same point. Regrettably there is a dark side to this chapter, or at least to the way a key point the chapter makes was completely botched in a review by a certain associate professor and world authority on parallelomania studies between science fiction and religion. But I will save that for the “Who holds the pen?” section. Why did Paul need to write letters? Another provocative (and thought-provoking) Carr-ism, this one recently posted as a comment on Questioning Paul’s Letters. . . .
Why did Paul need to write letters? We already know that oral tradition was enough to answer questions by Christians about whether Jesus had turned the water into wine in Galilee or in Jerusalem, and to answer Christian questions about who exactly the 12 disciples were and to answer Christian questions about what Jesus had preached about divorce. But strangely, as soon as it comes to answering Christian questions about practice in churches or all the other problems that Paul had to deal with, these oral channels suddenly become unavailable, and Paul has to write letters answering these questions. Those problems could not be dealt with by oral transmission. And as soon as Christians stop asking questions about practice in churches or other stuff Paul deals with, and start to ask questions about what Jesus had told people to pray and whether or not Jesus had preached about giving tithes, these oral channels open up again, and Paul has no longer a need to write letters. Those problems could be dealt with by oral transmission.